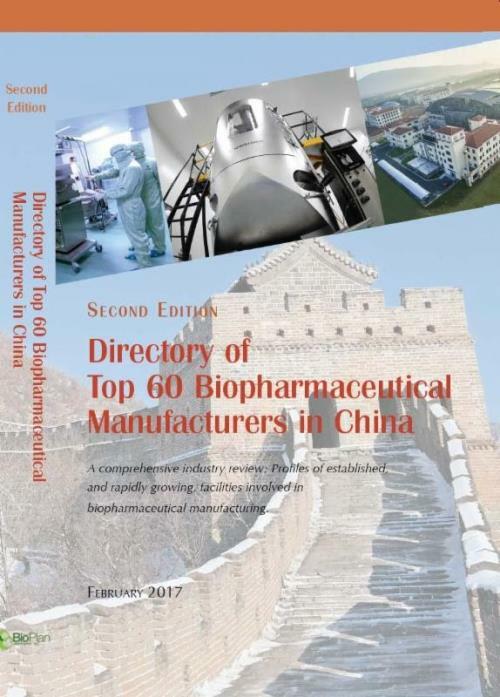 The completely updated, comprehensive Top 60 Directory provides detailed profiles of China biopharmaceutical facilities, including information on their capacity, history, products, scale, management, business focus, products, R&D, business and partnering strategies, strengths and weaknesses, and future objectives. The directory also highlights current and upcoming facilities, and includes information on key marketed and clinical trial products. Top 60 Biopharmaceutical Facilities in China Directory allows readers to keep up-to-date on new and existing biopharmaceutical facilities as the industry continues to grow and expand. This newly updated directory helps you stay aware of current key participants, as well as new and upcoming facilities in this rapidly changing market. This second edition of the directory of major biopharmaceutical manufacturing facilities in China covers facilities with the most bioprocessing capacity (total bioreactor volumes), and those under active construction. Company ownership, background, management and facility capacity and history. Financial estimates are provided, along with derived data regarding facility size, available partnership resources, etc. Number of products in commercial or clinical production.